Our first reader review on Kindle! 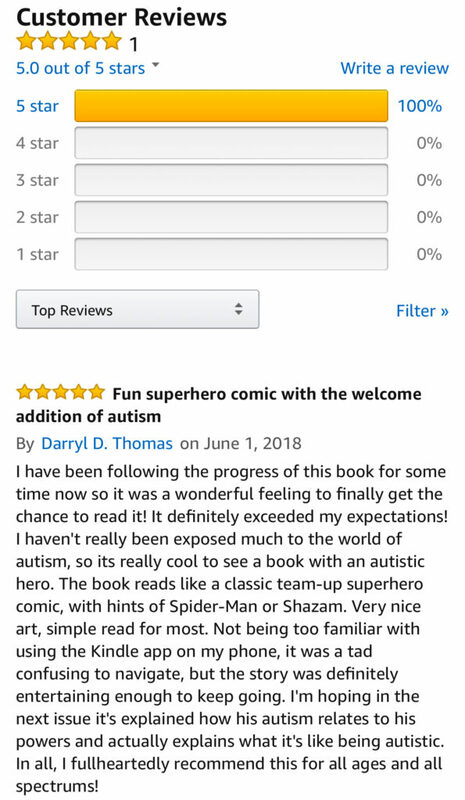 Thank you Darryl Thomas for writing the first ever review for Focus™ Comic. Alternatively, please order the printed comic through our online store. We will be attending Greater Austin Comicon and Ace comicon Seattle this month, so please come to our table to learn more about our project, and pick up the item in person. Our creator Yvonne Wan and main artist Douglas Hebert will be joined by Tony Todd, the official brand ambassador for Focus at the event to sign autographs. Please also attend the Focus Panel at Greater Austin comicon where Tony, Yvonne and Doug will share news about the campaign and comic.